A prestigious address to shout about! For registered companies, you are required to have a registered address. It is the address of a company to which Companies House or otherwise relevant governing body letters and reminders are sent to. The Company Registered Address must always be an effective address for delivering documents to the company and its Directors/Shareholders. The Registered Office Address is the address that your company is officially registered at upon incorporation, and is displayed on the Public Registrar at Companies House. As the Registered Office Address site needs to be readily available for post to be delivered to, and if necessary, documents to be signed for. It is not possible to use a PO Box address as the Registered Office Address. Other requirements are that the Company Registration Number and the Registered Office Address must be displayed on your company stationary (letterheads and invoices). Mail delivered to the Registered Office Address is sent from Companies House and HMRC (Inland Revenue) as well as mail from other relevant Governing Bodies, including official reminders and letters regarding a number of important things relevant to your company. Why should I use it? Here's what you need to know. Letters sent from HMRC (Inland Revenue) can include the necessary forms to register your company with HMRC (Inland Revenue) so you will be able to file your Annual Accounts, setting up your Payroll system (PAYE), as well as forms you will be required to complete if you decide to apply for VAT Registration Number (necessary if your annual turnover is going to be in excess of £67 000 per annum). It is very important that all HMRC notifications are replied to in a timely fashion, especially the submission of Annual Accounts as the laws have recently changed and very hefty fines and penalties are now in place for the late filing of Accounts. If you need to change the Registered Office Address then form 287 needs to be downloaded from here or the Companies House website, completed and then submitted to Companies House. This can be done via the post, or electronically via WebFiling. It will take a couple of days for Companies House to process the application. There is no additional charge to change the Registered Office Address. The advantages of Registered Office Address use, is that you can present your company as being established at one of our prestigious addresses in some of the most famous business locations across the UK. You can also utilise it as a separate address from your normal mailing address, so that only official or Government mail from Companies House or Inland Revenue will be sent to the Registered Office Address. We have a list of especially prestigious addresses available for Registered Office Address use within the UK, click here for a list of available addresses and prices. 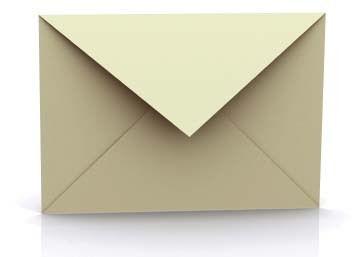 Any official mail delivered to the address will be forwarded onto you to the address you supply. *Please note that if you wish to have any other mail sent to our location that is not from Companies House or Inland Revenue, then you will need to purchase Business trading use. As required by the US Government, the 'post forwarding' form click here to download must be filled, notarised and returned to a member of the City Office team. Advise on how to fill in the form can be found by clicking here. Note* As per the documents instructions, you must also supply two forms of ID along with the form. to choose your preferred address.